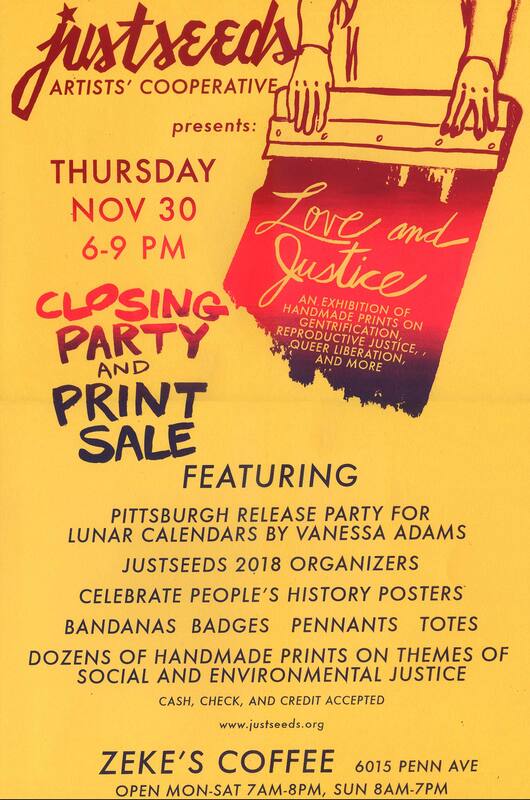 We are having a closing party for Justseeds: Love and Justice, a show of recent print work at Zeke’s Coffee in Pittsburgh’s East Liberty, at the end of the month! Come check out a print sale, including Vanessa Adams’ 2018 Lunar Calendars (printed with care by Justseeds’ Jesse Purcell), and of course Justseeds 2018 organizers. You can see the show and get some good coffee and baked treats for the rest of the month. Let us know what you think!